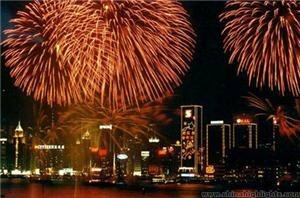 Chinese New Year is celebrated for sixteen days (from New Year&apos;s Eve to the Lantern Festival). The preparations start seven days before the New Year&apos;s Eve. Many celebration activities for this period are traditional customs, but some are quite new... 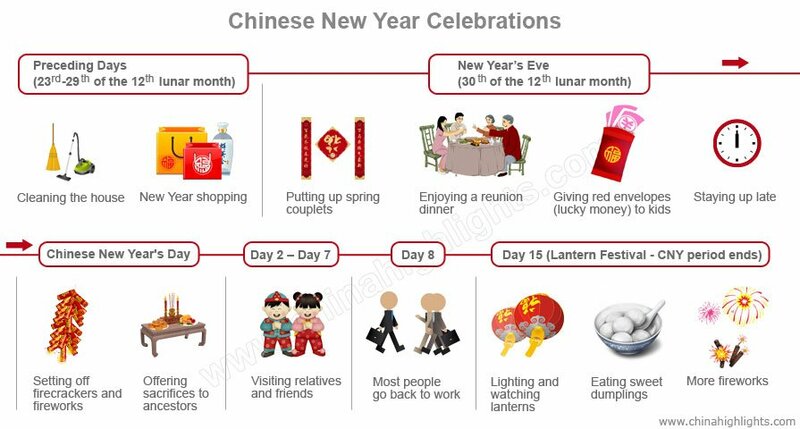 Here is a daily guide to tell you how Chinese people celebrate Chinese New Year in 2019. Experience Chinese New Year with Gavin. Some Chinese start to celebrate and prepare for New Year as early as day 8 of the 12th month of the lunar calendar. This is a festival called Laba ( 腊八 Làbā /laa-baa/ &apos;12th lunar month&apos; + &apos;8&apos;). In 2019, it corresponds to January 13. Beginning on the 23rd day of the 12th lunar month (January 28, 2019), Chinese people carry out a thorough ‘winter-cleaning’ of their houses. This is called "sweeping away the dust", and represents a wish to put away old things, bid farewell to the old year, and welcome in the New Year. People clean their houses before Chinese New Year. Before New Year’s Eve, people buy New Year’s food and snacks, New Year’s decorations, and New Year’s clothes. Chinese New Year in China, like Christmas, is a boom time for shopping. Chinese people may be thrifty most of the time, but they seem to spend generously during their traditional festivals. For example, they buy everyone new clothes for the festival, whether they need them or not. On the days leading up to the festival, there are many New Year’s street markets. Although some people decorate their houses several days before the festival, most people do it on New Year&apos;s Eve. 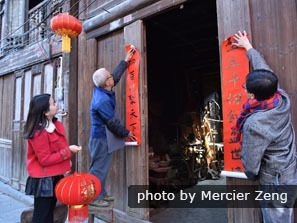 Houses are decorated with red lanterns, red couplets, paper Cutouts, and New Year’s paintings. Puting up those decorations are thought to keep evil away and pray for blessing, longevity, health, and peace. 2019 is the Year of the Pig, so pig images will appear on decorations. Read more about the Top 7 Chinese New Year Decorations. Offering sacrifices to ancestors shows respect and piety. In addition, ancestral spirits are believed to protect their descendants and help them become prosperous. 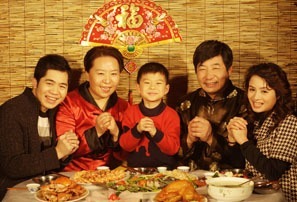 Many worship on New Year&apos;s Eve, before the reunion dinner, to show that they are letting their ancestors "eat" first. Offerings of meat, wine, joss sticks and joss paper are placed in front of the shrine/grave. The New Year&apos;s Eve Feast is a "must do" dinner with all family members reuniting. Chinese try very hard to make this family event, often traveling long distances. This is the main reason for the huge travel stress throughout China. Big families including several generations sit at round tables and enjoy the food and time together. Dishes with lucky meanings must be included in the dinner such as fish, dumplings, niangao (sticky rice cake),and spring rolls. Many New Year foods are symbolic. It&apos;s become customary for many families to watch the CCTV New Year Gala while having their dinner. The Gala starts at 8 pm and ends when New Year arrives at midnight. It features traditional, folk, and pop performances from China&apos;s best singers, dancers, and acrobats. Parents usually give their children red envelopes after the reunion dinner, wishing them health, growth, and good studies in the coming year. Red envelopes always have money in. Money in red envelopes is believed to bring good luck, as red is China&apos;s lucky color, so it&apos;s called lucky money. This custom is called shousui (守岁/show-sway/‘to keep watch over the year’). In the past, Chinese people used to stay up all night, but now most stay up only until the midnight firecrackers and fireworks die down. A bell is a traditional symbol of Chinese New Year, and Chinese people believe that ringing a large bell can drive away bad luck and bring good fortune. At midnight on New Year’s Eve some people like to go to large squares or temples where huge bells are rung. In recent years people have begun to go to mountain temples to wait for the first ringing of a bell in the New Year. Chinese people believe that what they do on the first day of the lunar year will affect their luck during that year. The moment New Year arrives there is a cacophony of fireworks and firecrackers all around, even in rural China. Families stay up for this joyful moment. 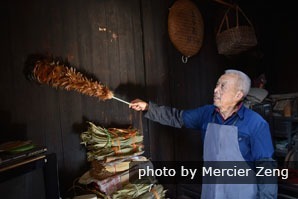 In many rural areas it&apos;s customary to set off firecrackers before dinner, each day from New Year’s Eve to day 3 of CNY. See Why Chinese New Year Must Have Firecrackers. It’s believed that the louder the firecrackers, the better and luckier it will be for business and farming in the coming year. Kids, with (mini) firecrackers in one hand and a lighter in another, cheerfully celebrate by throwing the small explosives one-by-one on the street whilst plugging their ears. On the first day of New Year, Chinese people put on new clothes, and say "gongxi" (恭喜/gong-sshee/literally ‘respectful joy’, meaning ‘greetings’ or ‘best wishes’), wishing each other good luck and happiness in the New Year. It is customary for the younger generation to visit their elders, and wish them health and longevity. In recent years, a new way to do New Year greetings has appeared, especially among the young. 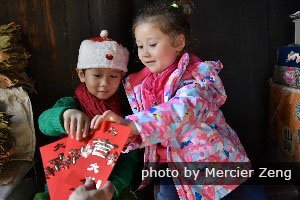 People who are too busy to visit their friends or relatives send a New Year’s card, a WeChat red envelope, or a text message instead. 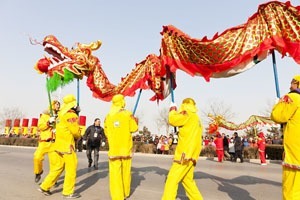 Lion dances and dragon dances are also seen on New Year&apos;s Day. Once very popular in China, they are reappearing in many places. They are more popular in Hong Kong and Macau. Beijing&apos;s temple fairs are the places to go for traditional activities in Beijing. 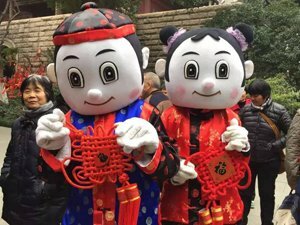 Such activities are held in parks from the first day of the lunar year to the last (when celebrating the Lantern Festival). Generally parks and temples are the best places to go for festive celebrations at Chinese New Year. Traditionally married daughters visit their parents’ home on the second day of Chinese New Year. 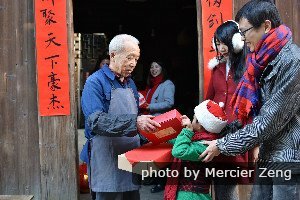 They brings gifts and red envelopes to families and relatives. On this day, people offer sacrifices to the God of Wealth, wishing for a luckier and more prosperous year. Chinese people visit relatives and friends from the 3rd day to the 7th day. From the third to the seventh day of New Year, Chinese people visit relatives and friends. On the third day, some people go to visit the tombs of their relatives, but others think being outside there on the third day is inauspicious, because evil spirits roam around. The first house-sweep of the New Year: Chinese people don&apos;t clean their homes during the first two days of New Year, as sweeping then is believed to sweep away the good luck accrued by the litter of firecrackers, red paper, wrappers, and other evidence of celebration on the floor. People normally return to work on the eighth day. As eight is the luckiest number in China, most businesses like to reopen on day 8 of the New Year. The fifteenth day of the New Year is the Lantern Festival (元宵节 Yuánxiāo Jié /ywen-sshyaou jyeah/). It is the traditional end of Spring Festival celebrations. Some people send glowing lanterns into the sky, while others release floating lanterns onto the sea, onto rivers, or adrift in lakes. 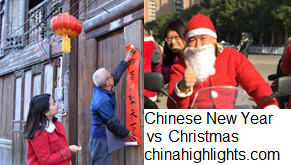 Traditions and celebrations vary greatly across China. 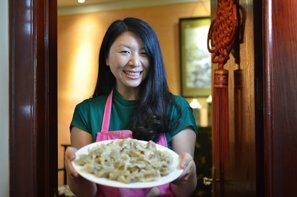 In the north, Chinese dumplings are the must-eat food on Chinese New Year&apos;s Eve, but south of the Yangtze River most people eat spring rolls or sticky rice cake. For more on this, read How Chinese New Year Is Celebrated in Northern and Southern China. 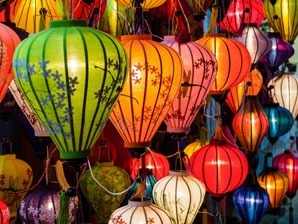 Chinese New Year is not only celebrated in China, but also in several other East Asian countries (among non-Chinese Asians it&apos;s known &apos;Spring Festival&apos;) as well as Chinatowns in Western countries. See Vietnamese people celebrate Tet Festival (Vietnamese New Year). 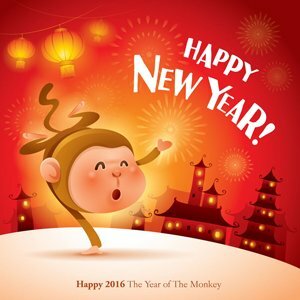 For the numbers of people celebrating around the world see Chinese New Year Facts. You can experience Chinese New Year celebrations in Los Angeles, San Francisco, New York, London, Paris, etc. You can walk through their Chinatowns and see the restaurants and shopfronts adorned in red and gold, and experience firecrackers, colorful parades, and dragon dances. 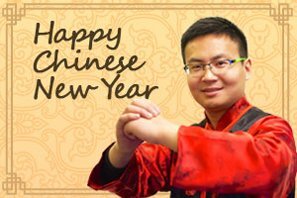 When Is Chinese New Year and Why Chinese New Year Is on the Dates It Is?